Upton Engineering – Saving Aussie Farmers Real Money Since 1944! 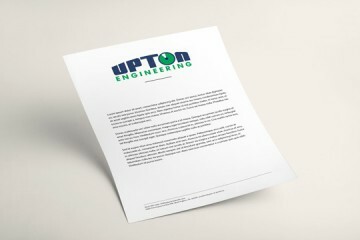 Here at Upton Engineering, we can offer you the lowest running and operating cost in the country for the life of your agricultural irrigation system. Our smart customers look at the big picture - to them unless coupled with long-term savings, short initial savings are a short-sighted solution. Smart farmers look for a low cost of operation, which is far more important because you always get what you pay for! Consider our points of difference before investing in your next agricultural irrigation system. A shorter life span means a faster depreciating asset and more cost per year to you. Our engineers make equipment from superior corrosion resistant materials that most competitors don’t use. What eventually kills these machines is rust. We aim to produce a machine that does not rust. We do also sell a basic version that is similar but much stronger than the competition. If a client has good water, this stronger option works best. How much time and money do you waste by checking your irrigators? You keep driving back and forth to make sure things run smoothly. Our smart farmer customers don’t do that! They use our idiot-proof technology that can also save you the hassle of ongoing monitoring of your farm irrigation equipment saving you up to $10,000 per year or more in reduced labour and vehicle costs. We develop our technology for farmers who hate technology – it is simple to use, and it works. We don’t bother you with unnecessary functions you don’t need! To help you gain maximum efficiency, we take care of little details like painstakingly machining impeller diameters and customising specialised pumps and more. We don’t just sell agricultural irrigation systems – we engineer tailor-made solutions uniquely crafted and engineered for your specific needs, soil type and water condition. So if you’re shopping around for an irrigation system, look at the full picture – don’t just compare prices! While reducing friction loss in the pipeline is important, we look at the whole system by improving all fittings, filters and other associated water delivery mechanisms. We take a holistic approach to achieving lower operating costs rather than simply low initial prices. The price difference you may save by going with a ‘cheap’ system can usually recover costs in the first year of operation. And then those savings will multiply year after year after year. In our experience, if issues like water quality are not looked at carefully, the system can corrode to the point of failure in as low as six to seven years instead of the typical 20-year life span. Harsh ground water with salt needs a different solution than clean ground water. We also look at other factors like extreme fertiliser duty and effluent disposal to engineer a reliable solution that will serve you well while keeping operating costs to a minimum. We have a pivot for every situation, and we will customise it to your unique needs. In our experience, electric drive pivots are at least 33% of the running cost of comparable sized hydraulic pivots. Hydraulic pivots are the most expensive to operate, maintain, service, and automate, and they also have the highest ‘total cost’ when compared to electric systems. All-electric machines are more efficient than hydraulic ones – which we refer to as the steam engines. In our experience, they cost you less initially but more down the track. Our customers love the fact that we have an enormous range of centre pivot spare parts in house. If we don’t have them, we can get them, or since we are engineers, we can make them. We offer CNC machining, CNC plate profiling, plate bending, and welding and fabrication in all metals. So if you need spare parts, we can get you up and running in no time! We have been working with Aussie farmers since 1944. We are a family-owned and operated business, and you deal directly with us, not a machine or operators that don’t speak English. We take our responsibilities seriously – no passing the buck here – just friendly personal service. We use only Australian workers and apprentices. Australian company. Australian owned. That’s our motto, and your money stays in Australia. Our smart centre-pivot agricultural irrigation system costs less the more you use it because our super-efficient system uses less power - less power use means lower operating costs for you. Lowest cost of operation, maintenance and lifetime cost. Effective and easy system monitoring. We would like to invite you to book a phone consultation where we will help you explore your options and show you how much we can save you on your next irrigation system. Contact us today by calling 02 60 331 844 or via our contact form to book your no-cost consultation.